Crossing the goal line, with the football tucked safely in his arms, the NFL star falls on one knee, bows his head, crosses himself and utters a prayer of thanksgiving to God, giving one more example of the ever expanding connection between sports and religion. At least it seems to be expanding. The question is: was there truly a notable surge in that relationship between sports and religion. And if there has been a surge, is it unique in history, or merely part of an ongoing ebb and flow? This book offers a concise yet detailed account of this multifaceted association and its implications for the ongoing game (the ultimate sport!) of trying to understand what we humans are as a species. Sports is one among many areas where religion and its concerns have played a role, and the interweave between sports and religion is as old as sports and as continuous as religion. The question of Islam and sports, or of Jewish success in the Olympics, or of how both Jews and Muslims manage to maintain aspects of their faiths when the athletic competitions in which they engage don’t leave space for that or of the attitude of Judaism or Islam or Christianity to sports and physical accomplishment in general is diverse. The discussion of Native American sports with origins in religious ritual is different still. Moreover, sports and religion keeps intersecting from different angles sports and warfare, sports and politics, religion and politics, religion and warfare; and all these combinations intertwine aspects of art. 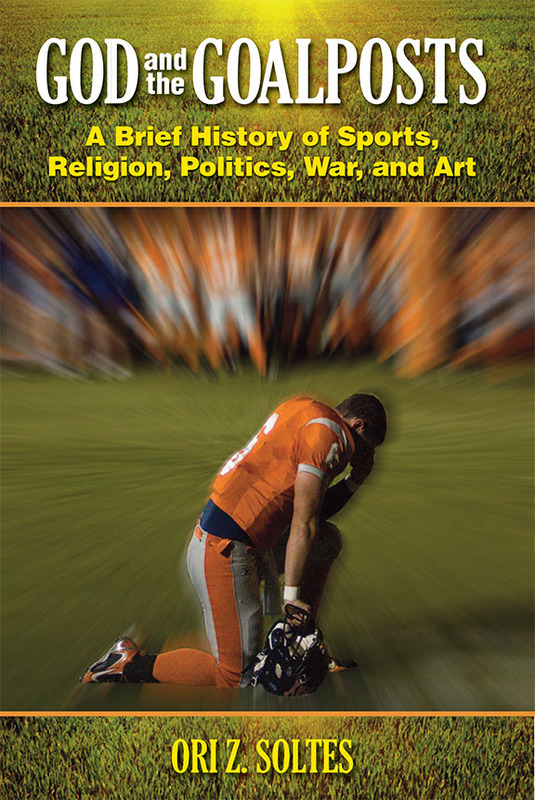 Reading God and the Goalposts, it becomes clear that sport, in combination with religion is a major theme throughout the history of mankind.